We have arranged all our Middle/Upper Primary Spelling into the following categories. Each has many resources within so why not jump in and explore the site? Our newest Middle/Upper Primary Spelling. Have a look at some of our latest resources. 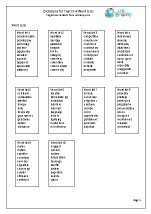 For a real challenge why not try our latest sets of spellings for the middle and upper primary age range? 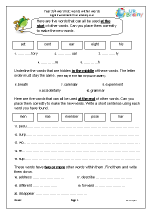 Each set contains a variety of activities which will help with learning the spellings and with over 60 spelling rules covered this is a really extensive resource. There has been some debate recently about the ‘i before e, except after c’ rule and there seem to be as many exceptions as there are words that conform. 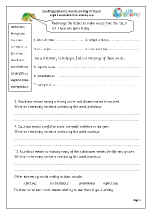 However, we have included two sets of pages; one wwith ‘ie’ spellings and one with ‘ei’ spellings.